"All right, kids, gather round, because I have a secret to tell you. 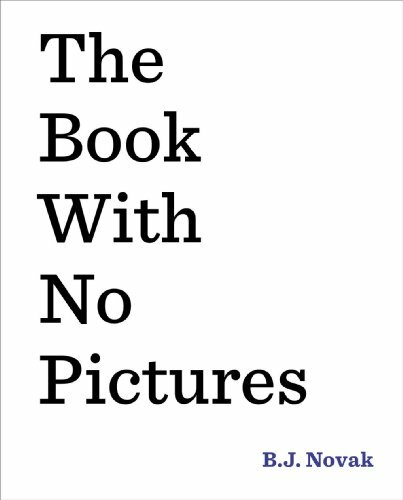 I know this book doesn’t have pictures, BUT, it is really one of the best picture books you could possibly find, because it means you get to make any adult who reads it say really silly things. Things like “maGRUMPH-a-doo,” or “Glibbity-globbity.” They might even have to call themselves something ridiculous, or sing a silly song. And the best part? They have to say everything, no matter what. It’s a rule. * So, I pinky promise you, even though this book has no pictures, it’s a lot of fun. *any adult who reads this staff recommendation in the presence of a kid is contractually obligated to read it aloud. Section Children's (4 - 7) / All Staff Suggestions / Suggestions for Kids / Read D.